What do we most value in our social and political lives? What do we think is working well, and what are our concerns? How do we view pressing issues such as governance and taxes, health care, education, jobs and the environment? Pundits and politicians may think they know what people on the street have to say about these and other issues, but every once in a while it’s a good idea to check in directly and find out. With a strong public policy orientation, this project represents the third installment of the decennial Oregon Values and Beliefs Project, continuing and extending similar opinion research conducted in 1992 and 2002. 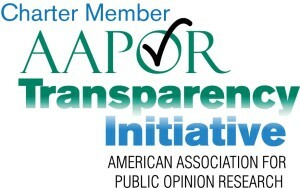 The study reaches across a broad and representative swath of Oregon’s adult population—making a point to include large groups that are typically not heard in other public forums or civic participation methodologies—to learn what residents think about important issues affecting our social and political lives. Findings show that Oregonians may not be as divided on many issues as is commonly perceived. There are differences, to be sure. But the survey finds surprising areas of consensus, even when examining the much-cited urban and rural divide within Oregon. This installment of the Oregon Values and Beliefs Project serves multiple purposes. One is to provide the public a snapshot of the beliefs held by regular Oregonians at this point in time and, through comparison to previous studies, to examine how our views on certain topics may be changing. Another purpose is to provide information to policymakers and interest groups about how regular Oregonians feel about the most fundamental issues of the day. The political discourse of our state, and our nation, is often driven by assumptions about public attitudes. This project tests the validity of some of these assumptions. Still another purpose—perhaps most important—of the project is to give voice to the large group of Oregonians who are often not asked their opinions and have no common venue in which to share their views. Randomly contacting all citizens (not just frequent voters) through the telephone and internet allows us to fulfill this aim.